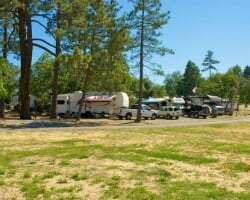 This secluded, 5-star RV and camping resort is located just 40 miles east of San Diego. Only 4 miles south of Julian's charming downtown district, the resort has access to the Pacific Crest and California riding and hiking trails. This makes the secluded KQ Ranch located in San Diego County a perfect choice for all RV, equestrian, and nature enthusiasts. Outdoor lover's are welcome! Various locations to enjoy inquire today!